This cleansing gel is my wake-up call, due to its refreshingly sweet botanical aroma. I absolutely love this scent! There is something that makes it just smell healthy for your skin. The gel formula is non-foaming which is easy to apply and less likely to make a mess on the vanity if you decide to use it multiple times daily. After letting the enzymes work their magic, for about two minutes, I use a Clarisonic and my skin feels smooth and refreshed. It is definitely the combination of ingredients like papaya and grapefruit extracts that have exfoliating properties due to Alpha Hydroxy Acid. AHA aids in breaking down oils and grime allowing new skin to be revealed. A dime size amount is what I found to be needed for a thorough cleaning of my face. I have not felt like this has left my skin dried out or feeling irritated, so I would say all skin types would benefit from its use. Price point is great and for me the bottle lasted a few months, and that is with daily use in the morning. Needless to say, this is on my shelf and already a continuous repurchase. Having purchased MUFE HD foundation years ago, with less than stellar results, I was hesitant to try this foundation. However, I went to my local Sephora and asked for a sample which lead to the purchase of the full size product. First, since I am so pale finding an exact match for my skin tone is difficult but the color of their lightest shade is amazing and perfect for any porcelain skin tone out there. The product is very lightweight and a little goes a long way! I found this foundation to have a medium coverage with a semi-matte finish. The formula is non-irritating and easy to remove with a simple makeup removing wipe. Second, this foundation formula did not last beyond three hours before it began to oxidize creating an oily mess. Additionally I had fine lines appear more prevalent do to the strange oiliness it created. I assume building to a full or heavier coverage would cause more problems so those with combination to oily skin should probably avoid this product. Last, I have found a great use for this product as a highlighter of sorts on top of another base foundation. I am not completely dissatisfied with this product as I can see practical uses for it when makeup may be worn for shorter durations. Unfortunately Make Up For Ever Mat Velvet did not make it onto my shelf, but it is still in my makeup case for use as a highlighter. NYX is my favorite drug-store brand since they offer so many great products that are budget friendly with fantastic results. After using the blue colored mascara (May 12, 2014 On The Shelf) I knew if NYX was to offer more colors I would love them, and I do! The colors are true to their tube, as what you see is what you get. The long wear-ability is comparable to higher end formulas and since I have not had any rub-off or transfer issues these new colors have been in a regular rotation for me. The application was initially an issue as the formula appears to be very thin, almost like water. Plus the applicator wand itself has changed and been made smaller. I like the previous version of NYX formula in regards to thickness and the included wand. These are the only two issues I can find with these new colors. However, I have had no issues with irritation to skin or eyes during application or while wearing. Some of the colors are tough to simply wipe off the lashes and require a quality makeup remover. Overall, the price per tube is great! The thin formula can be managed with proper application technique. You can achieve a colorful pop that will last all day. For now the array of color will remain on my shelf, but I would love if NYX would use the previously included wand as I believe this would make application so much easier. The Green Tea mask is specific for blemished and breakout prone skin as it “mattifies and purifies to soothe skin, absorb sebum, and reduce the appearance of outbreaks”, according to Sephora. My results for use of this mask were excellent. I noticed a vast difference in the appearance of my blemishes in size and redness. An added bonus and pick me up was the clean and refreshed feeling my skin now had after application. Wearing this mask overnight once a week definitely helped with my mid-day oil production as I noticed less need to blot my face or reapply and touch up my makeup. The formula in this mask has a mild scent and was non-irritating to skin or eyes. I noticed a slight tingling sensation on application but the cooling sensation took over after only a few minutes. The Lotus mask, as stated on Sephora’s website, “refreshes skin and reduces signs of strain and fatigue”, with that said, I had mixed results. I can agree with the “refreshing” part, however, I saw no significant changes in the appearance of my skin. The scent was subtle and like all the masks in the Sephora Collection ample product for complete hydration for the face. This mask caused no irritation but I do not think it will be repurchased as I have had better results from Sephora’s other masks. Overall both these masks were refreshing, as any facial product should be, but the Green Tea lived up to its promises and completely delivered. I suggest trying one and seeing if you reap the same benefits I did. Way to go Sephora for another spot on my shelf! Earlier this year I attended the Makeup Show NYC and I wish I had gone sooner, as this was their 10th anniversary in NYC. One of the many great brands in the skincare and beauty world, Mario Badescu, was there to sell everything that was available, even before some products were to be sold by other retailers. In this case it happened to be the Botanical Exfoliating Scrub that caught my attention as it was seated front and center. The sales representatives were extremely polite and knowledgeable answering any questions I had. Having a good facial scrub is a necessity in my book as I use it two to three times a week. I will apply this scrub either right before I hop into the shower in the morning or after I have removed my makeup at night. The Botanical Exfoliating Scrub is made with a combination of great ingredients that help promote a brighter complexion, unclog pores, which will leave skin feeling supple. The exfoliator in the scrub is ground Ecuadorian palm seeds that aid in removing dead skin cells. There is a truly fresh botanical scent that is light and pleasant as the clear gel formulated from coconut, aloe, green tea, and ginger work harmoniously to achieve revived new skin. This is such a great product for everything it offers but another huge advantage is its cost savings. Many competitive products either have harsh exfoliators or you have to use a large amount of product for it to be effective. Using less means saving money. And that means buying more of Mario Badescu’s products! Obviously this is a new addition for the shelf that will be repurchased as needed. Dana and Lora creators of Melt cosmetics did it again. The Nood Collection launches online tomorrow at 12pm pst . With a limited release at this past June's Phamexpo this became a instant hit across social media. Instagram lovers could not get enough of this perfect foursome. 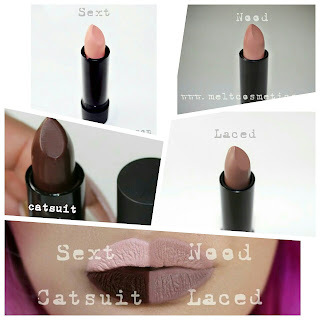 A beautiful range of nudes that took three years in the making in hopes of achieving the perfect shades/color to complement a range of skin tones. Expect the same great vegan quality with these and set your alarms as they will surely sell out. Contouring and highlighting has been a raging beast of beauty with no signs of stopping, as clearly it is to stay. This technique can be applied with a cream or powder. Since I feel powder comes off more natural and application is easier, for me, I knew what powder was needed; enter, Kat Von D. I already had my eyes on this palette during its initial release and knew it would eventually be on my shelf. For those who may be new to contouring; do not feel overwhelmed as the palette may look to be a bit much. There are three large varying color “Shade” pans which are great giving a diverse range of color depending on your skin tone and time of year. Sombre, an almost chocolate shade, can be used during your tannest summer days. Shadowplay, a golden brown, for winter. And Subconscious, a peachy brown, for the transitions of fall and spring. The only Shade I could not really use is Subconscious since I am so fair skinned. I opted to use it as an eyeshadow which has worked great for me! Moving on to the three smaller pans, the “Light”, these are you highlighters. Lucid, is almost peach in color, Lyric is a cool tone, whereas Levitation is a warm tone. Those with a beige to olive skin tone will have much success with these colors versus those with very fair skin. Ebony skin tones could use these as intended as strictly just a “highlighter”, however, proper application would need to be learned. Overall this is a great investment for any makeup lover, period. The pluses about its simple design with awesome integration of magnetic lid and mirror are wonderful! The amount of product is great and even better than the quantity is the quality. Once applied this product lasted all day without any touch-ups. Whether you are a beginner or a pro this palette gives you choices. Shade + Light is certainly going to be on my shelf or in my kit! 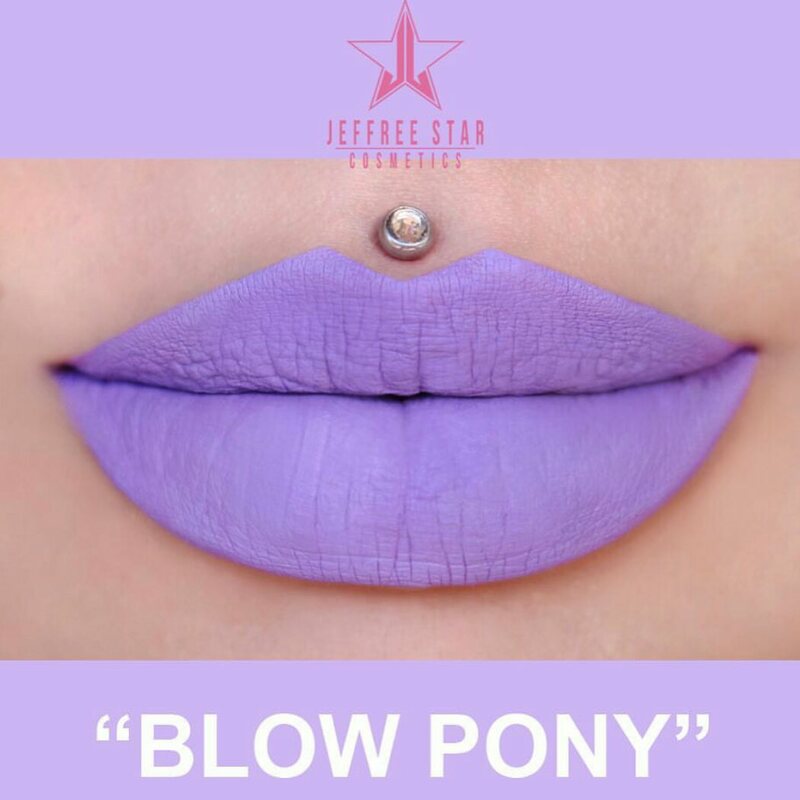 August 15th 12 noon (pst) Blow pony and Posh Spice will make their debut! These two new shades are sure to sale out so make sure to save the date. 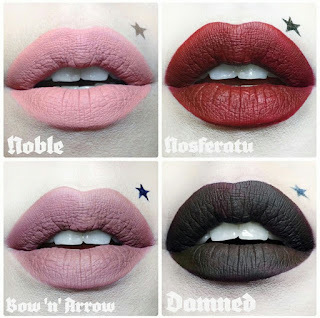 Unicorn blood and celebrity skin will also be restocked. If that wasn't enough to entice you, free US shipping for 24hrs, limit 2 per customer. 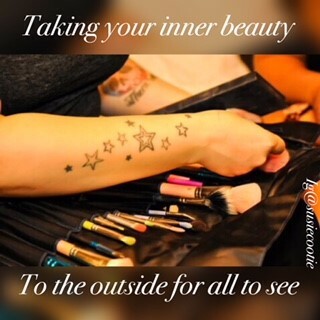 Last month, June 7th, I attended my first ever hands-on workshop, with demonstration and instruction, given by Selda Asan-Rodriguez owner of NUR Makeup Artistry. The main goal of this workshop was for a photo ready look. This was a great experience as you were allowed to bring your own model to apply your work. Selda was at the front of the class with her barefaced model projected on a monitor for all to see. Twenty women, with makeup and tools at the ready, watched and listened intently as Selda began giving her demonstration. As she was worked, starting with the eyes, Selda was eager to answer any questions while we followed along. Next came a primary focus, the foundation and selecting the best shade for you or your model’s skin tone. 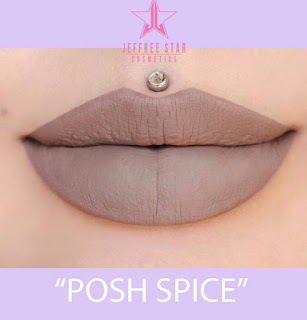 She recommended to swatch three colors that appear close to the desired shade on the chest and pick the one that blends without hard defined edges. This is where allowing time for the foundation to set if it needed to be built was crucial. Having set the foundation Selda moved onto contouring, my crux as I never learned how to properly use this technique (learned so much from Selda though). Then, as this was completed she moved back to the eyes and finished them with a personal touch of red shadow to give the look a sultry finish. There was a definite weak spot for me in this workshop and that was attempting to use techniques that were unfamiliar to me while watching and listening. Taking notes in between applying makeup to my model and following along was a tad difficult for me. However, this was an awesome experience that I learned so much more than watching a ten minute YouTube video could ever have taught me. 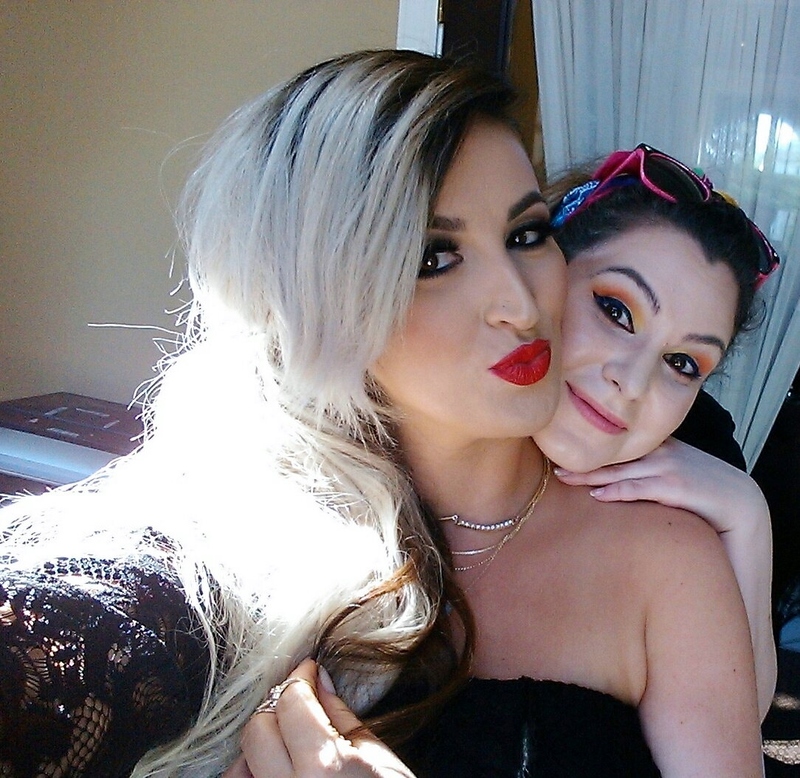 Selda is naturally an excellent teacher and even commented on how her techniques are what she uses to apply makeup. She definitely thinks about the bigger picture and spreading not only the love of makeup but the true artistry behind it. As we finished all the participants were given a certificate of completion and a bag of merchandise that more than covered the actual price of the workshop. Not to mention there were refreshments and the casual and friendly environment was such a great girl’s day out for me and one of my besties! Also, Selda had a raffle which was unbelievable for jewelry and makeup products. Believe me this class was informative and I can’t wait until she has another one. Being a diehard fan of Bdellium’s colorful bamboo (Bambu) brush lines I decided to add one of their Maestro brushes to my ever growing collection. The brush has the typical gloss black finished handle and aluminum ferrule with a combination of natural and synthetic hairs. As stated on Bdellium’s website: “Designed to sculpt and shape cheeks and temples using powder, blush, or highlighter”, which I can attest to using all three products with this brush. I found while using this brush it holds plenty of product for blush and highlighter application without the need to double and triple dip into product. The unique shape made it possible to perfectly apply makeup under my eyes. The bristles are extremely soft and easy enough to hand wash, and after doing so, the shape comes back with no irregularities. The only issues I had have been when using this brush for contouring. Like mentioned previously this brush holds product, so I end up having an asymmetrical end result which requires a lot of blending. However, the primary function of this brush, for me, has been as a blending and setting tool. The price is reflective of the overall quality of this brush. I would definitely recommend it for blending after contouring. There is a high possibility of repurchase of this individual for my shelf. 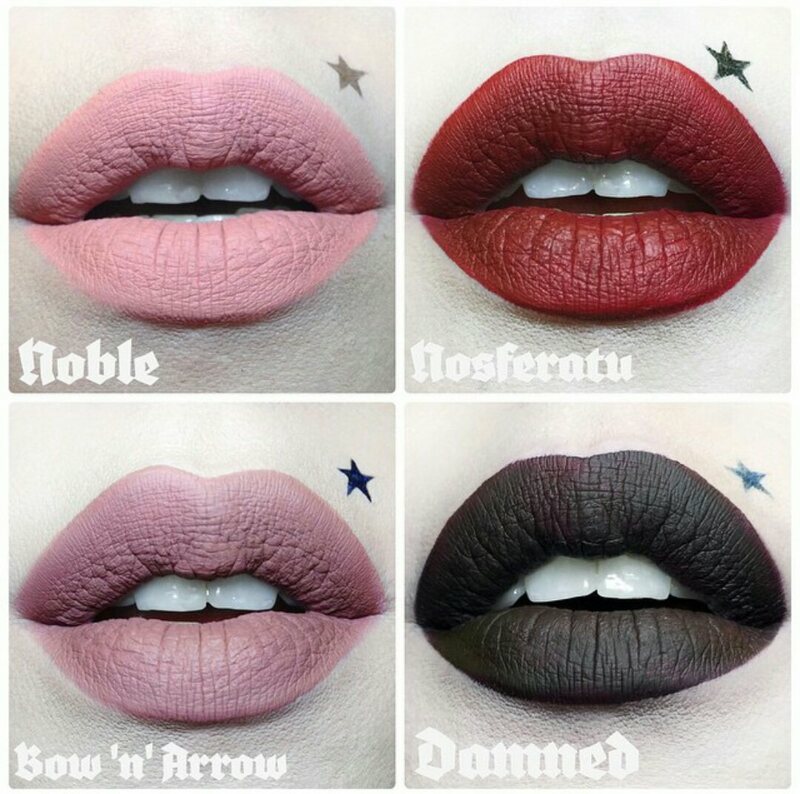 The much anticipated Everlasting Liquid Lipstick from Kat Von D beauty has finally launched at sephora.com . You can now find 16 shades including these personal favorites of mine there. Hurry and get yours now as these are still coming soon to your local malls, in store release date is July 24th. Having tried, and enjoyed, other fiber face masks when I saw the variety Sephora was offering I had to grab them. The bright and colorful wall in store makes you feel like a kid in a candy shop so make sure to get your favorites! If you have never used any face fiber face masks don’t feel overwhelmed by the color or choice selection. This week’s On The Shelf will break down the five that were in my pack with the usual mini review on each and comments taken directly from Sephora and my own feedback. First, these masks are created in such a way that they will accommodate many face shapes with either simple snipping or just folding and overlapping edges. Next, the masks are SUPER hydrated and they should not feel dry to the touch. Lastly, after applying recommended time is fifteen minutes but I usually leave them on for an hour. I have actually slept with a couple overnight. For a more intense cooling sensation pop these well sealed masks in your fridge for an hour before using, this can help reduce facial puffiness and inflammation from environmental causes. I did not notice any improvement in my skin after use. This mask was amply moist and a bit tacky from the honey. No distinct scent, was not irritating, good amount of product, and did leave skin noticeably brighter. Absolutely loved this fruity aroma of this mask from the instant I opened it. After wearing this mask for an hour it left a lot of excess on my skin, which I massaged for a couple minutes all over my face, that was tacky but definitely felt suppler. The following day, I received many compliments about how my skin looked as if it were “glowing”. My least favorite out of the five I tried. If you are a fan of ginseng then go right ahead and give this one a shot. For me the smell was overpowering and the product started to make my eyes water. The warming sensation it created on my skin was not pleasant. If you have sensitive skin perhaps this one may not be for you as I wore this mask for ten minutes had to take it off and within another five minutes had to completely wash my face. The irritation and discomfort this mask caused me was not worth the “tightening effect” it did seem to produce. Love, Love, LOVE this one! The light rose scent is pleasant without being overwhelming while wearing it. If you are not a fan of roses then avoid this mask. This mask was drenched in product and I had no issues with irritation to skin or eyes. Once applied it made my skin feel cool and refreshed. This mask felt so good I fell asleep only removing it once it had almost dried out mid-way through the night. My skin felt and looked amazing the next morning! This will be a go to for many summer, and winter, nights to rejuvenate what was lost from the elements. I enjoyed all but one of these masks and have repurchased a couple and as long as these are available they will be on my shelf. Being a fan of all things Argon oil, and having tried another product from this line, made this an easy choice. The price point seems fantastic given the brand name and amount of product when compared to typical salon choices like Redken, even when on sale. Beyond price this product has many pluses when comparing it to other conditioners. The smell is inviting and the product is easily dispensable with a simple squeeze. The non-greasy formula rinses out of hair without feeling the need to wash yourself or your hair again, as I have had this issue with other conditioners. Made with Keravis protein and Argon oil, as listed on the bottle, are the primary repairing agents in this product. After use my hair did feel softer, however, this product did nothing for detangling. Like I said before this conditioner has its benefits but this one let down is a big factor for me. Although this may not be a repurchase for my shelf, if you have straight hair or light curls with no tangling issues then I say give Eva NYC a try. I for one will be buying the hair mask they offer as I received it in an IPSY Glambag as a deluxe sample. But back to the Soften Up Conditioner, it was good, just not great for me. 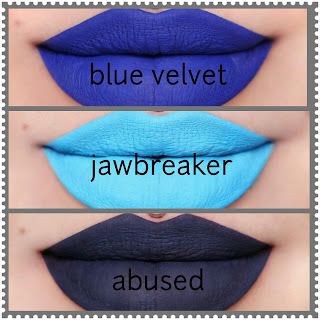 Product update, Jeffree star cosmetics will be launching three fabulous blues tomorrow. June 20the noon pst. These vegan and cruelty -free liquid beauties will surely sell out so make sure to save the date to not miss out ! With the impromptu pool party or beach day just around the corner waterproof eyeliner is a girl’s best friend. Although I bought this eyeliner in black Stila offers an array of color, fourteen to be exact, that include pink, white, and turquoise to name a few. As indicated this is definitely WATERPROOF so use a good makeup remover during your facial cleansing routine. Now as for application; this formula dries quickly so there is little room for user error with this long lasting formula so make sure you have a firmly planned look you want to achieve. The liquid tip is fine and is great for smooth lines with no issues of skipping or smudging. After using this liner for over a month the tip has certainly started to feather-out, and this does make achieving winged out cat eyes a little more difficult, but not impossible. I have never had any issues with eye irritation or with the liner itself drying out, for these two reasons alone is why I have always repurchased for it my shelf. One indication this eyeliner from Stila is going to “Stay All Day” is how quickly it seems to sell out from my local Sephora. Luckily, purchasing online at both Sephora and Stila has you covered if you can’t find the color you want in store. The price is great considering the value you truly get. For me I have used one eyeliner, daily, for over two months with no major issues. Also, for those who love the pop of glitter on their lids, this liner goes on perfectly over any glitter. I have had issues with other liquids not making the cut in that regard. Check out www.makeupearaser.net for product info. Seeing the Makeup Eraser all over InstaGram last year made me want to try this product for some time. The polyester cloth measures 16 inches long by 7 inches wide and for some reason I wish it were larger as I find myself trying to use it in sections to make it last longer between machine washes. The impressive claims of only needing warm water to remove makeup grabbed my attention. But for some reason I felt as if it has to be drenched to work properly. The material acts almost hydrophobic so manipulating it under running water is a must. I also had to get the water much hotter to stay “warm” while on the eraser. One side of the eraser it is supposed to be used for exfoliating, but I didn’t see any difference in material or texture when comparing the sides. Before the initial use the directions state you must machine wash the eraser, so I did. I have been using the eraser going on three weeks and it is a great first line of makeup removal. With this said, it has its limitations; for example waterproof eyeliner is going to require way too much effort and physical pressure, in my opinion, to be effective. When removing eye makeup, including eye shadows, I found it better to use one of my makeup removing wipes (chemical kind) and then the eraser to wipe any traces left behind. Overall I found this to be a great first step in removing makeup with only water. Next, it has its limits and the amount of pressure and time to remove certain types of makeup on and around my eyes did not seem worth it. Last, the size seems odd and I wish it were a little larger to get more usage before needing to wash it. However it is great for anyone who wears makeup as a first step to their face cleaning routine. I am glad to have it on my shelf and feel it is worth a try. Check out www.devacurl.com for more product info. Curly girl hair problems will soon be in full effect since spring has come, and right behind it humid summer days (varying on location). Solution, DevaCurl! My aunt who is also a California native is always on the prowl for curly hair products. After she had spoken with a co-worker regarding her new do my aunt was introduced to DevaCurl products and decided to send me this set. I had seen the green and white label many times at my local Sephora but paid no mind. Honestly, this set is the perfect way to see which products work for you without breaking the bank. The set comes with four essential components all made to harmoniously work together. 1. No-Poo™ Zero Lather Cleanser - This shampoo made without silicones, sulfates, parabens, or phthalates. This means you won’t get stripped or dried out locks. Also don’t expect any suds or lather as you will be blue in the face from trying to create some. I always associated lather with “cleanliness” before using any sulfate free shampoos. This product is easily distributed throughout hair and feels more like a conditioner when applying. The scent is strangely earthy to me, not like dirt but herbal, maybe this is due to the hops and wheat amino acids. But after washing hair the peppermint takes over leaving a tingly refreshed aroma. I loved this shampoo so much I have already used the kit size and replaced it with its full size counterpart. The price is hefty but well worth it for the results. 2. One Condition Daily Conditioner - Award winning product and for good reason. I really love the rosemary scent of this conditioner. Rosemary, lemon grass, and olive oil are key ingredients but this conditioner echoes the same non-additive chemical free formula as the No-Poo™ shampoo. This conditioner is thick and creamy without feeling slimey or messy on hair. I found it worked much better in conjunction with the No-Poo™ versus alone or with another shampoo. I would purchase the full size only if I had a coupon or it was on sale as it has a price of $39.95 for a 32 oz. 3. Light Defining Gel – OMG I need to just state the aroma of this sweet and fruity product almost lasted ALL DAY! This gel is made without alcohol or mineral oils and has key ingredients like; chamomile, wheat and soy proteins which are very popular now. This did help define curls and was light weight but unfortunately left my hair feeling dried out and more tangled than I expected. It didn’t leave the texture of my hair crunchy like other gels but this fell short due to the knotty mess I was left with. 4. Set It Free 24 Hour Moisture Lock – When I first used this product it was with all the products included in the kit and saw no improvement or change. Actually I put this to the back of my shelf until I had finished the No-Poo™ and One conditioner. Recently I pulled it out and used it solo without any other gels or products out of the shower. My curls were absolutely frizz free and I had ZERO tangles. I found it works best on damp hair but can be used on dry hair to manage fly aways and frizz. My hair was left shiny but not greasy. The smell follows suit with its “earthy notes” but is not overwhelming or harsh. I would gladly repurchase this in the 3 oz. travel size for overnight purposes. Overall this set is a great investment for anyone with curly locks. If for nothing else, you can try great products that can be used together or separately to see what works best for your hair. As far as DevaCurl the No-Poo™ is a winner in my book and a new staple on my shelf! Check out www.sephora.com for more product info. After many rounds of Sephora sampling (you can get three in-store! ), I finally purchased this foundation. Having an array of 18 shades means if you are fair or dark there is a foundation you can use. The only drawback I have had is my shade, 42 which is the lightest, consistently being out of stock. So before you run out to buy this check Sephora.com first to see it they have it available just in case. The packaging is clever and all other foundations should follow suit. With every pump the product is pushed up through the top and clearly shows how much is left. This is a huge benefit that I love when preparing to repurchase. “Formulated with 21% pigment” and “polysilicone-II” definitely plays a crucial role in its long wear-ability. This brings me to my next point, which is transfer. This product causes minimal transfer compared to other large brands, and I should know considering I have to constantly change face masks. I usually mix this with MAC Studio FIX fluid for a nice matte finish. I love the full coverage and don’t even need a concealer when I use it. Now the consistency is thick and dries quickly so time is not your friend! 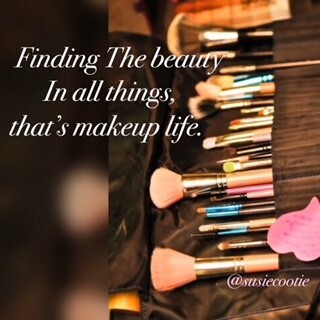 I recommend using a beauty blender or a stippling brush to achieve the best results. This foundation does have an initial “chemical” odor which quickly disappears. And a little goes a long way with this product so be mindful of the pumping. For me this is not an everyday use as it is a “heavy” makeup product. The price is well worth it as there is no capping issue or air exposure due to the packaging. I love the look this foundation gives and it is by all means it is in a regular rotation on my face and my shelf, as I’m on my second bottle. This liner made its way to me courtesy of Benefit/Birchbox promoting Wing Women Weekend, last year. Allure magazine dubbed this liner “Best of Beauty” and “Breakthrough” for 2014. The exterior of the pen is sleek black and attractive with pops of color. It is easy to hold and the amount held inside appears to be a good amount. By twisting the bottom of the liner, with the cap off of course, the black gel creeps its way out of the angled tip. Now this is where some may run into trouble. If too much product is twisted out the application will result in a sloppy look, and not enough will need a second application and may still result in a very amateur look. Best part about this liner is this way of storing product within the pen applicator until it is ready for use, making it fresh all the time. Worst part about this is making sure to clean the tip as the gel will dry out and block any new gel from coming out. The previous step IS a necessity and needs to be done every time you use this liner. The angled tip is mean to “hug” your lash line, which I agree it definitely gives you that close edge but, somehow does not apply as smoothly as I would like. I like to do a winged/cat-eye look on occasion and never had a problem until using this liner. I mean EVERY time I use this gel liner I can never achieve the desired look. Another fact Benefit claims it is quick-drying and smudge-free, perhaps too quick-drying and smudge-free as you cannot simply fix little mistakes without using makeup remover. I feel They’re Real is a definite breakthrough for the gel liner market. However, the angled tip simply rubs me the wrong way in addition to not being able to get a desirable look from what is a wonderful product, in theory. Also if you are not comfortable with liquid or other gels this is not going to work for you either. Once I finish this tube I highly doubt I will ever repurchase this liner, unless it goes through a major change in formula. After reading such wonderful reviews on beauty websites and being a fan of Catastrophe Cosmetic I was ready to try another LUSH creation. Unlike a majority of other face masks offered by LUSH with a specific use by date Magnaminty is “self-preserving” meaning it does not need refrigeration, and can last up to five months! Having had my black signature container for three months I have not seen any change in color or consistency. This is a minty-green chunky mask that does not look appealing in the container or on your face but the minty smell wins for best aroma in a face mask. Once on the face or body there is a slight tingling sensation that is not overwhelming and does not last long. Being made with China Clay, honey, vanilla, and fresh peppermint LUSH claims it will “pull dirt from pores”, “calm redness and soothe.” For me these claims seem possible as my face felt “clean” but the calming of any redness was not felt or seen. Leaving this mask on for 10 – 30 minutes allows for it to stiffen on the face to an almost rubbery texture which was somewhat difficult to wash off. The use of warm to hot water was needed as the mask really dig cling to my skin. The Aduki beans do feel like a natural exfoliator however cleaning up my sink was more of a chore than a treat for me afterwards. Final thoughts on this are not as glowing since I did not feel like I benefited from this mask. Problem breakout areas seemed worse after use and actually seemed as if it created more breakouts. However the price on a fresh handmade product like this is great for the amount you do receive. Plus since the container is a part of LUSH’s recycling program I will be able to put it toward another product I like or want to try. But sadly, this will not be making a return to my shelf. Spring could not be getting here soon enough for this chickadee to remind me warmer days are certainly head. But to shake those wintry blues away, and almost fast forward to summer, the heavenly coconut aroma of this spray will magically teleport you to your very own beach front bungalow…well at least your hair. This spray is simple to use on out of the shower wet hair or dry as can be morning bedhead, as I’ve done both. On wet hair I get more refined curls and spraying on dry hair has given me that simple beach wave look this product boasts. I’ve seen a friend with poker straight hair achieve the easy beachy tousled hair with no problems. It definitely adds shine to those no shampoo days too, which is probably from the “hydrolyzed silk” and pro-vitamin B5. As the Dream Waves mists onto hair it does not weigh it down or leave it dull and crunchy the way other sprays sometimes do. So if you are looking for that true “beach hair wave”, look no further Dream Waves delivers! To sum up: 1. Affordable. 2. Product delivers on promises. 3. Demonstration on the Marc Anthony website on how to use (click link above). 4. Coconut smell is not overly chemically artificial. This was truly a dream addition to my shelf!